not your typical average florist! Flowers are our passion, and with them we believe dreams can be arranged and realized At Bells & Bloom we take a different approach to floral design and servicing. When it comes to arranging for a special event, a ceremony, or a business function, we commit ourselves to working with the aesthetics, style, and vision of our clientele in order to create the most exquisite floral designs. Our ideology begins with you, our client. We invite you to freely express your ideas and consult with us regarding current trends, seasonal flowers, cost- efficient cuts, socially and environmentally responsible sources, and floral requirements. Once we are attuned to your vision, we will tailor to your flower requisites by meticulously applying the most suitable techniques and creative approaches to that inspiration. We focus on what we do best: flowers and bouquets. Nothing else. We partner and work along with many other professionals including event planners, coordinators, lighting designers, architects, models, photographers, gallery owners, and more. We believe the level of artistry and discerning attention to detail required for extraordinary work can only be reached by specialization. And that is precisely what we offer you. As your florist, we are here to make your arrangements. 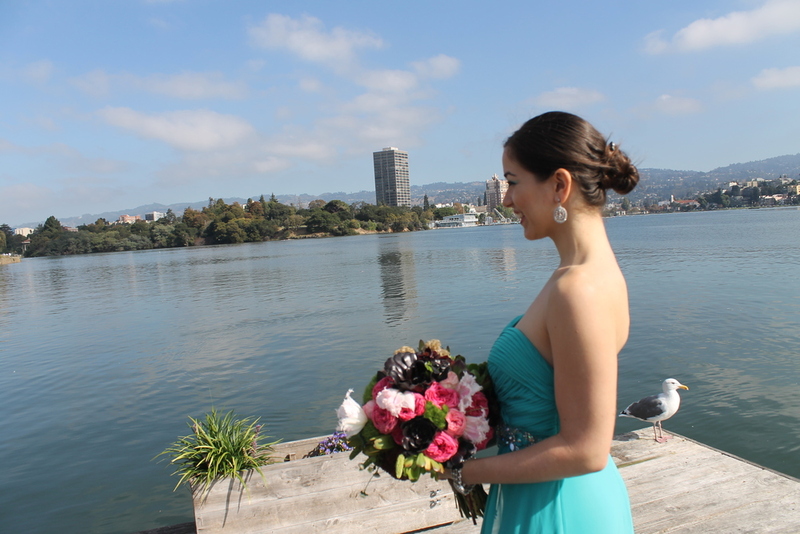 Whether you need minimalist, avant-garde bridal bouquets and boutonnieres for the San Francisco City Hall, or lush greeneries and luxuriant arrangements for the most opulent gala, we will fashion stunning work for you. Please note that our florist services are not limited to events (i.e. intimate dinner parties, weddings, civil ceremonies at San Francisco City Hall, galas, shows, corporate celebrations, funeral receptions, or sympathy arrangements). We can gladly arrange standing orders for office spaces, showrooms, restaurants, hotels, gazebos, galleries, and museums. Let Bells & Bloom be your SF Bay Area Florist for all your floral needs. Bells & Bloom design each arrangement with fresh flowers to make it look amazing and last longer. Flower design and servicing is a natural venture for us. We both grew up in Colombia around flower communities. With family members involved in all areas of the flower industry, from wholesalers to expert growers. This, combined with our passion for design and devotion to simply "make things truly special" place us here, with you. Please feel free to share with us your plan, get to know about us and what we can offer you. We welcome the opportunity to help you make your dreams come true.